This year, the garlic is slow to mature and be harvested. Usually I’m harvesting my garlic around the 4th of July but this year it’s not ripe yet for harvest and curing. Perhaps it’s the long, cool spring we’ve had. Perhaps it’s all the rain since garlic likes the soil moist but not wet. Or some combination. 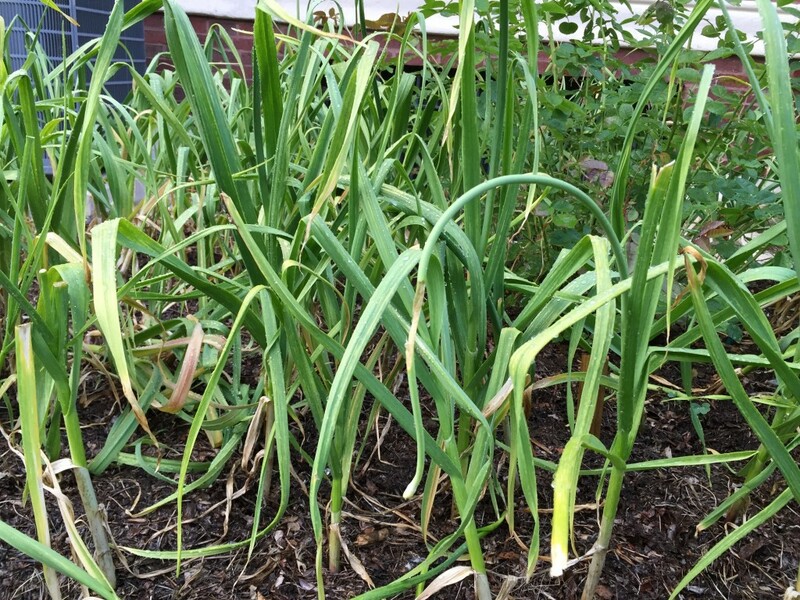 How do I know the garlic isn’t ready to harvest yet? 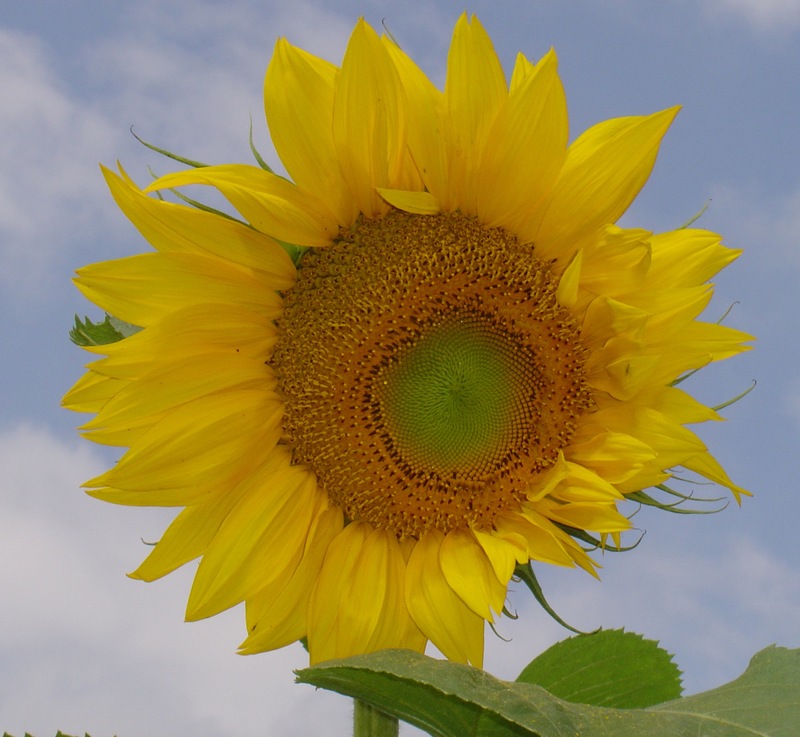 I look for the first five leaves on the stem to turn yellow. As you can see from the picture above, the leaves are all still green on the 4th of July. It may be August before the garlic is perfect and ready for harvest. This entry was posted in garlic, seasonality. Bookmark the permalink.